The authors spin out their theory of the spirit world, attempting to present a systematic structure of the variety of evil spirits and beings referred to by different words in different languages from different cultural and religious origins, with a Jewish spin. I was amazed that some of the key derivations of words are just wrong. At two key points in their presentation, they support important points of their system by misanalysing the Greek-based technical word hermeneutics. They claim it is made up of two words, hier (system of) and minutiae (details). But minutiae is a Latin word, not Greek, and the Greek root hier (hieros) normally is used to mean holy or sacred, a sacred thing. Hieros is the root of the Greek word for priest, hiereus. But the word hermaneutics is a transliteration of the Greek adjective or English noun made from the verb hermaneuein, which simply means to interpret. They do not further comment to indicate if they intend to propose an alternative meaning or derivation. They simply declare their novel erroneous derivation as the meaning of hermeneutics. The English word is commonly used to mean simply interpretation, as in biblical interpretation. Other, perhaps even more important, errors occur because of a folk linguistics inconsistent with our actual knowledge in linguistic science of how languages work. They tie their focus on spirits and evil and the final judgement of them to the recent Dispensational Rapturist perspective of the end time events. They include a quite good summary of an important part of the Book of Enoch, which they consider an inspired part of the biblical canon. The first-century BC writer of Enoch develops a story of the key archangels and ties them to the simple reference introduction to Genesis 6, referring to the "sons of the god," or "the sons of god." The authors claim their presentation represents the biblical perspective and a schema of the objective metaphysical world. But this is another rationalist system in the modernist linear-abstract format, a version of reductionist fundamentalist logic that seems unable to see, or is uncomfortable admitting, the variety of biblical references from various ages and cultural settings, each with their own integrity. 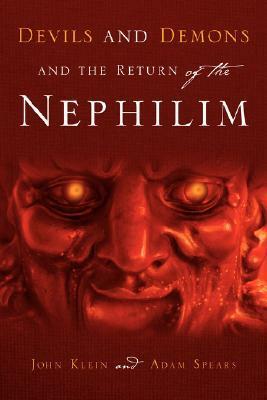 Sign into Goodreads to see if any of your friends have read Devils and Demons and the Return of the Nephilim.